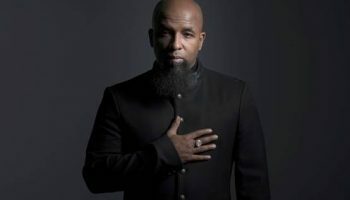 Interview: Tech N9ne – Spotlight Report "The Best Entertainment Website in Oz"
We had the chance to chat to American rapper, songwriter, producer, and entrepreneur Aaron Yates, better known as Tech N9ne. 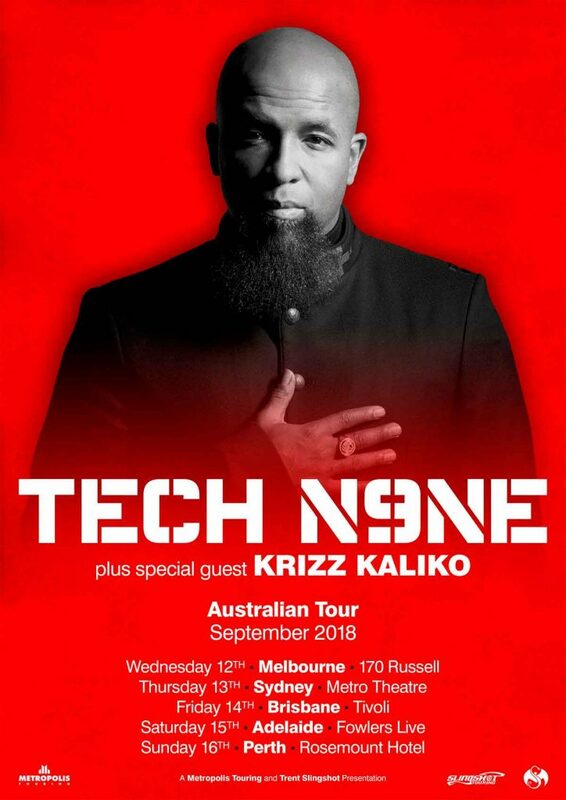 We talked about his upcoming Australian tour with Krizz Kaliko, his new album Planet, and the inspiration behind some of his most popular tracks. SR. So you’re coming to Australia soon, as well as my hometown of Adelaide, have you played here before? SR. You’ve got your latest record ‘Planet’, which has some collaborations with artists like Machine Gun Kelly and Y2. Will we see any of those artists on tour with you? Nah, MGK is already touring, and Y2 is doing his thing in Los Angeles. So nah, they won’t be on this tour with me. SR. You will have Krizz Kaliko with you though, you guys have been working together since the late 90’s, how did you guys initially become friends? I saw him performing at an open mic session in Kansas, Missouri. I thought he was very talented, a guy that can sing really well, and rap too. I later saw him at a studio I was working at, I invited him to work with me, and we’ve been working together ever since. It’s been nearly thirty years now, so, sooo long. We’re starting all over again now, this is the reintroduction of Krizz Kaliko and Tech N9ne, we’re reinventing all the time. SR. I wanted to ask about the fan favourite single ‘Don’t Nobody Want None’, what does that song mean to you? It means so much to me, because it was an old breakdance tune in the eighties when I was younger. It’s called ‘The Soul’ by Al-Naafiysh, and the fact that the original producer said yes to me remaking the song means so much to me. It’s so dope, lyrically. I’m so glad I could pay homage to all the DJ’s, dance crews, graffiti artists, break dancers, everything that has to do with early hip hop. That song means everything to me, it’s beautiful. I wanted to pay respect to the people who moved me when I was younger, and open it up to the new generation. I have so much respect for B Boys and B Girls, because I was a B Boy. I was a break dancer, I still am, just not every day like I used to. That song played a major part in me battling people, going head to head with the break dancers and pop lockers. To bring it back and have the B Boy community agree that it’s dope, that meant a lot to me. SR. Do you feel pretty strongly about similar songs that have been reinvented in that way? I’ve always done that kind of thing throughout my career, I did work with Falco in 2002, I did an ‘Amadeus’ remake and called it ‘I’m a player, I’m a player’, I’ve always payed homage to that scene. On The Wake Up Show back in 97’, I did Mantronix ‘Listen to The Bass’ with King Tech. I love doing it man, I fit perfectly over those beats. SR. Are there any songs of your latest album ‘Planet’ that are really special to you? Yeah man. All of them are special, but one of them in particular called ‘Tappin’ In’. It’s a song that features Joey Cool, and it’s a song about me and my best friend both liking this one girl in the past, and I didn’t tell him. This girl and I were sexually involved, and he lived with her, and I never told him. He died before we could talk about. The song is about how I should have told him that I was with her, I shouldn’t have kept that secret that she wanted me to keep. SR. So you were thinking about telling him before he passed away? Nah man, I don’t know. They were colleagues, they worked together and lived together. When he worked away, she took a liking to me and we started messing around. I was younger than her, she was fourty, and I was twenty one. She told me she didn’t want him to know because they were colleagues and I was a client. He then got killed in a triple homicide, because he was dating another lady with an ex husband, he came to the house and shot him, shot her, and then shot himself. My friend got caught up in all that, and I never got to say sorry. He found out about what happened with that colleague of his, and we had a falling out because I didn’t tell him, when I knew he liked this lady. We became friends again not long before he died, and we planned to do more music together, but I still never said that I was sorry for that. SR. That’s quite the story man. Is there anything else you’d like to say to your fans about your upcoming tour of Australia? It’s going to be massive, so don’t wait until the last minute to get your tickets, they will sell out. Especially in Adelaide! You can catch Tech N9ne with Krizz Kaliko in all major cities this September. Like the man himself said, grab your tickets now, before they sell out, it’s going to be an absolute banger of a show! 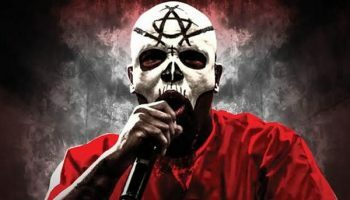 Follow Tech N9ne on social media or via his website to keep yourself up to date with everything that’s going on. 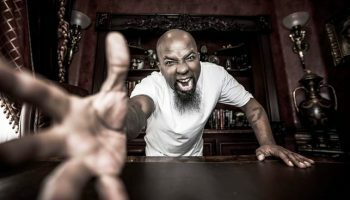 Interview: Tech N9ne talks Australian tour!